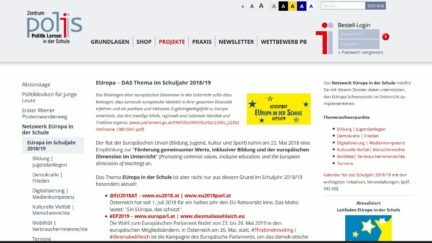 Zagreb, 13 April 2019: Election-Watch.EU was admitted to the Robert Bosch Foundation program “Education on Europe”. Education on Europe is a program for citizenship educators on European issues. The program aims to create, try out and evaluate new approaches to make European integration and EU politics more accessible to learners. It fosters the emergence of concepts to reach young people not usually included in European political thinking. 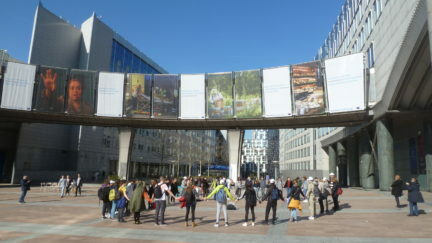 Election-Watch.EU attended the workshop on social media campaigns organised by the European Parliament in Brussels on 25 March. 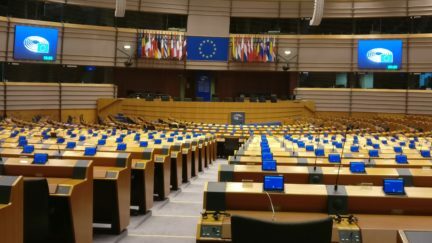 The European Parliament invited partner organisations among European civil society to help spread the word and to mobilise their communities via social media (#thistimeimvoting campaign). Election-Watch.EU (wahlbeobachtung.org) in cooperation with the European Parliament (EP) organizes a panel discussion of Austrian top EP candidates with pupils and trainees on the European elections in the House of the EU in Vienna on 7 May. 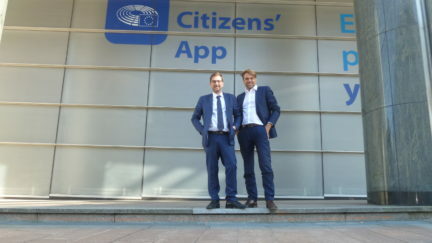 Election-Watch.EU conducted a Needs Assessment Mission (NAM) to assess the relevance of citizen-led election observation in the context of the 2019 European elections, taking the electoral processes in European Union (EU) Member States into account. 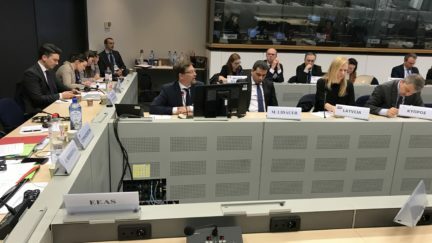 The NAM, led by Armin Rabitsch and Michael Lidauer, was conducted between 28 January and 1 February 2019 in Brussels. 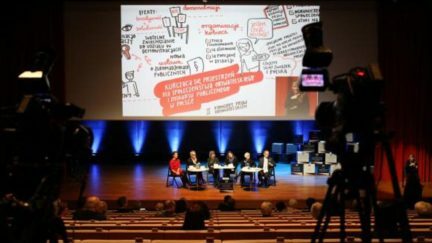 The Polish Commissioner for Human Rights (Ombudsperson) organised for the second time the Congress for Human Rights on 14/15 December 2018 in Warsaw. Election-Watch.EU (wahlbeobachtung.org) was invited to the Panel on International Electoral Standards to debate on the importance and possibilities of international and citizen election observation. The event was held in English with Polish synchronous translation. Armin Rabitsch specifically emphasized the importance of trust and responsibility in the conduct of elections, recommended the Austrian example to reduce the voting age to 16 and referred to the double standards of acceptance and accreditation of citizen observers inside and outside the EU. Electoral reform advocacy has to come from outside and from within to strengthen democracies and electoral processes against existing and new challenges. Greater effort in advocacy of legal reforms across European/OSCE countries/participating States to fully acknowledge international as well as citizen election observation, and fully adhere to Article 8 of the OSCE Copenhagen Document is required. While the recent Declaration of Principles (DoP) meeting in London reiterated the work of citizen election observation, and the importance of setting clear standards and adherence to the DoP’s Code of Conduct, OSCE participating States are reluctant to change their legislation and accreditation practice for election observers. On 26 November Election-Watch.EU took part in the conference “EUrope at School”. 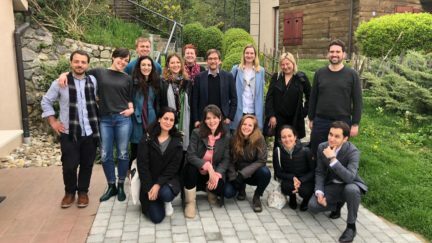 The event was organized by the network Europe in School, which has been founded by the Representation of the European Commission, the Federal Ministry for Education, Science and Research and the Liaison Office of the European Parliament in Austria. The Warsaw Dialogue on Democracy (WDD) is an annual international conference, organized by the Polish MFA, dedicated to many facets of current democratization processes. 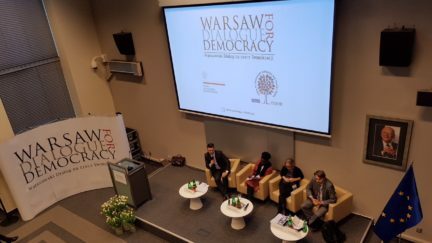 This year’s Warsaw Dialogue on Democracy on 22/23 in November 2018 was held under the title Democracy 2.0 and the main scope of the discussion was on the ways modern technologies and social media influence democracies all around the world. 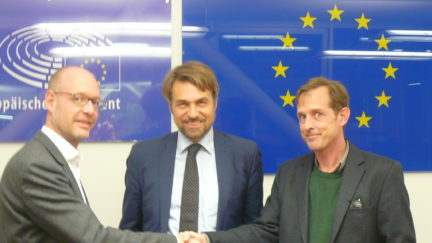 On 8 November 2018, election-watch.eu (wahlbeobachtung.org) signed a Memorandum of Understanding on the partnership between the European Parliament and election-watch.eu (wahlbeobachtung.org) in the context of the 2019 European election voter information campaign.